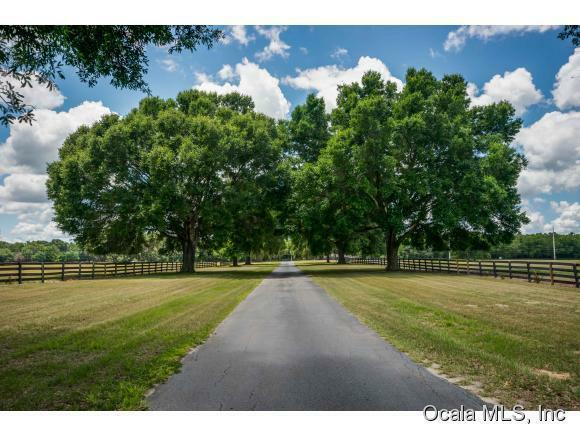 This 38.5 acre gated farm is perfectly located in southern Marion County, Florida: A brief drive will take you to I-75, the Florida Horse Park, or The Villages(r). 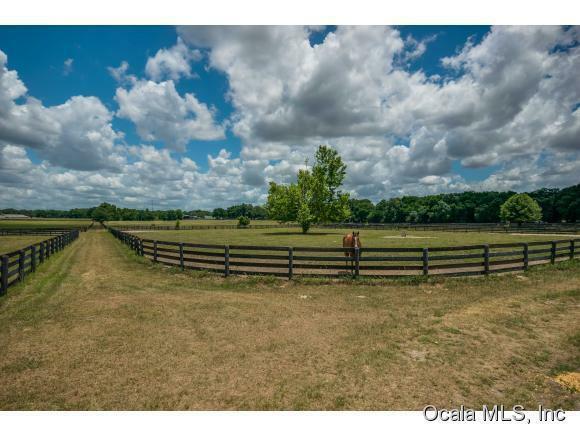 Room for expansion is available, with opportunities for jump fields and a dressage arena. Two barns totaling 31 stalls are refurbished with new roofs, stall doors and fresh paint. 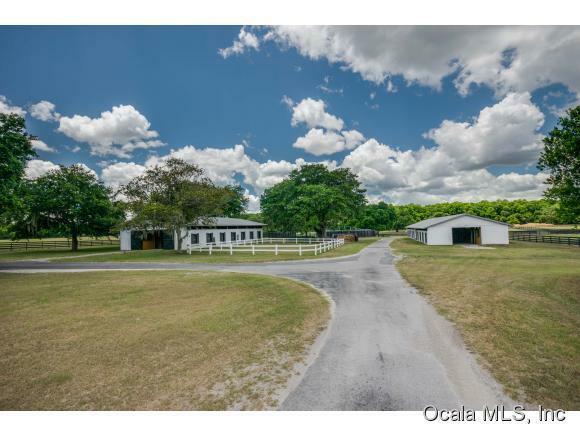 The barns also feature foaling stalls, air-conditioned tack room, and a bathroom. Plumbing is available to add an additional bathroom or kitchen. 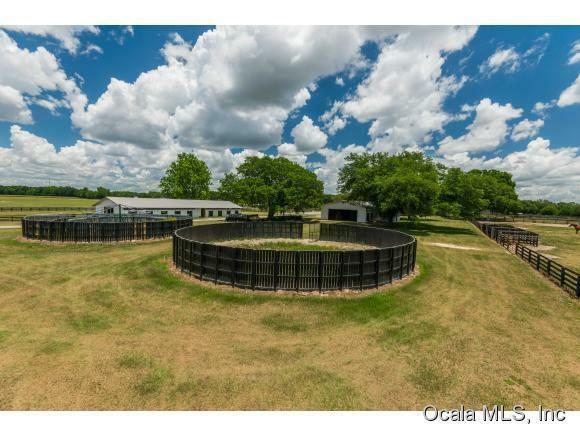 The farm also features four-board fencing, a Eurociser, round pen and paddocks complete with automatic watering systems. The four-bedroom and two-bathroom home is inviting and relaxing, and includes a large, private yard.